Today's recipe is crunchy and delicious, kind of a play on the classic carrot and raisin salad. You have rainbow carrots, chopped dates, florets of cauliflower and a sprinkling of walnuts and feta cheese. Then instead of a mayonnaise laden dressing you have this amazing orange vinaigrette. Which alone was a big hit, I should have tripled the amount that I made. It was so good we could of ate a vat of the stuff. It is sweetened and thickened with dates, so you will need your food processor. The carrots are thinly sliced and the cauliflower is cooked a minute or so and then plunged into cold water to keep them crisp-tender. For best results make the vinaigrette the day before and dress the carrots and cauliflower. Let everything set overnight to create even more flavor. Makes enough for 8 people as a side. Adapted from the "Southern Living" magazine, December 2013. Combine the salt and apple-cider vinegar together, add in carrots, then drain in colander for 30 minutes. 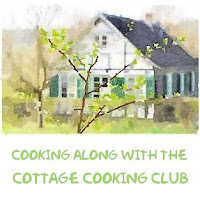 Meanwhile, bring a medium pan of water to a boil add in cauliflower, cover for 1 minute, drain, plunge into cold water, drain. Next prepare vinaigrette, add all ingredients except canola oil to food processor, blend 30 to 60 seconds until smooth, then pour canola oil while machine is running through chute in a steady stream until smooth. Rinse carrots under cold running water, drain and pat dry. Toss together carrots, cauliflower and the orange vinaigrette in a large bowl, cover and refrigerate overnight. Before serving top with parsley, walnuts, dates and feta. Enjoy! YUM. This looks wonderful. I have a bag of multicolored carrots in the fridge begging for something creative to be done with them....Time to begin. Have a great weekend. Hi Dena, you too, Happy week-end! It's still warm enough in northern Australia to enjoy beautiful summer salads like this I can't wait to (hurry) and give this a try at my house. Thanks Maureen, the dressing is amazing! 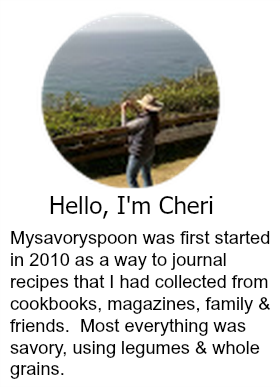 So many of your recipes sound amazingly flavourful, Cheri! Absolutely love the mix of flavours in this salad. Cauliflower, walnuts, feta and orange ... yum! Thanks Ela, the orange dressing is amazing, I am making another batch tomorrow. Cheri, what a wonderful, healthy and delicious looking salad - and the dressing sounds fabulous as well - I love these kinds of salads so much and would not mind eating dishes like this every day! Hi Andrea, I am a big salad eater, so I probably make more than my share on this site. Happy week-end to you! Carrots and cauliflower have me craving a good garden harvest, looks delicious! Thanks Pamela, looks like that will be no problem with your roof top garden! The vinaigrette was incredible, already made a second batch. Hi Sweetphi, vat still might be an underestimate. Happy week-end! Hi Mimi, thanks for stopping by. I love all that vibrant color and the sound of that vinaigrette, Cheri. Thanks Monica, it was delicious! Thanks Janet, appreciate the comment. Happy week-end! I love trying out different kinds of salad. This looks fabulous! Thanks Cathleen, this dressing is wonderful with the dates. I love the ingredients in this wonderful salad, Cheri, (carrots and cauliflower are my favs) and the dressing sounds delicious. Its the toppings that really make it special. So yummy. Thanks Cathy, I completely agree with you, thanks for stopping by. I'm with you on the vinaigrette! It sounds drinkable. :-) The salad itself is beautiful with all those colors and textures! Thanks Reeni, I've already made a second batch. What a tasty and colorful salad! Hi AdriBarr, appreciate the comment! hi Cheri! This salad looks amazing! I love the orange vinaigrette and all the toppings, thanks for sharing! Thanks Anna and Liz, it's pretty easy when you have fresh ingredients, they speak for themselves. Cheri, this is just marvelous. Marinating the veggies in that incredible vinaigrette is genius. What a wonderful and healthful recipe. I adore the ingredient list! Hi Devaki, appreciate the comment, thanks for stopping by. Cauliflower might just be my favorite vegetable. It can be used in so many ways, and paired with pickled carrots sounds perfect. And I love the looks of the dressing. Pinning right now! Thanks Susan! the dressing is the best. Hi Bam, this recipe would be great as you can make most of it ahead of time. Enjoy! A wonderful salad! Great combo and flavors. Ooo this is definitely my kind of salad! i love the sound of that vinaigrette to dress it. So many pretty colors! Thanks Joanne, the dressing is so good, I already made a second batch. That is an incredibly colourful plate of salad packed full of delicious flavours. The vinaigrette sounds delicious too.